UNION Architectural Hardware, part of ASSA ABLOY Security Solutions, a division of the ASSA ABLOY Group, has launched a new mortice lock ideal for OEMs working on large contract applications. Offering the durability and reliability that characterises the UNION mortice lock range, the Aptus2 mortice lock is a cost effective lock that is quick and easy to fit to doorsets. This makes it popular with OEMs tasked with supplying a large quantity of doors to projects where functionality and affordability are crucial. Supplied in satin stainless steel finish, complementing most interior schemes and designs, the Aptus2 mortice lock also features an adjustable strike that provides improved performance over time. This strike is supplied pre-formed making it ideal for speedy installation, while a single piece forend reduces the number of parts that need fitting. This is a significant advantage for doorset manufacturers working on contracts where large quantities need to be delivered on time and on budget. An extension of UNION's popular 72mm mortice lock series, the Aptus2 has a 60mm backset and boasts all the support and performance characteristics synonymous with UNION and ASSA ABLOY brands. "The addition of the Aptus2 to the UNION mortice lock core range, makes our mechanical lock offering complete and comprehensive, providing a locking solution for every type of budget and application. "We have found this lock has really filled a gap in the market, especially for OEMs supplying to projects where performance is important, but additional factors such as installation cost and timescales are also crucial. 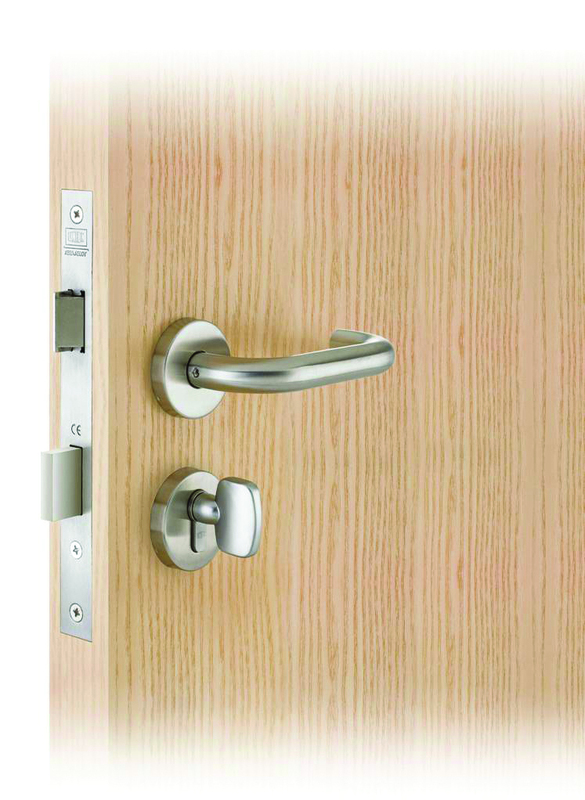 "The range consists of the most popular functions such as sashlock, deadlock, latch and bathroom locks covering the majority of applications, endorsed with the UNION branding providing extra reassurance to doorset manufacturers, building owners and specifiers, of the products suitability and quality." Fully tested to BS EN 12209 and CE Marked, the Aptus2 has been assessed for use on 60-minute fire doors and assists in fulfilling duties required under the Equality Act 2010. For further information on UNION's products and design solutions please visit www.uniononline.co.uk.